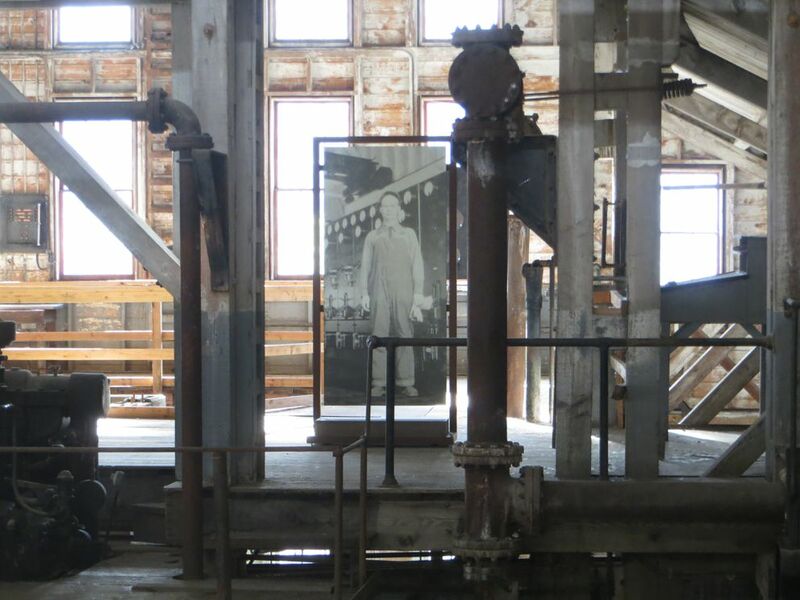 McCARTHY — Twenty years after acquiring the massive ruins of the Kennecott copper mines, the National Park Service has finally figured out a way to preserve the historic company town and tell its story — without banishing all the ghosts. Government planners had struggled over what to do with the national historic landmark, grappling with budget constraints, the ravages of time and the prickly opinions of the tiny nearby community of McCarthy. Residents fought back against any effort that might turn their treasured ruins into a "Disneyland" for tourists. This summer, the park service has introduced a new series of exhibits at the remote heart of Wrangell-St. Elias National Park, the biggest national park in the United States. The exhibits describe the ambitious-beyond-belief foray of American industry into the Alaska wilderness a century ago, as well as the empty quiet that followed after the mountains were abandoned during the Great Depression. 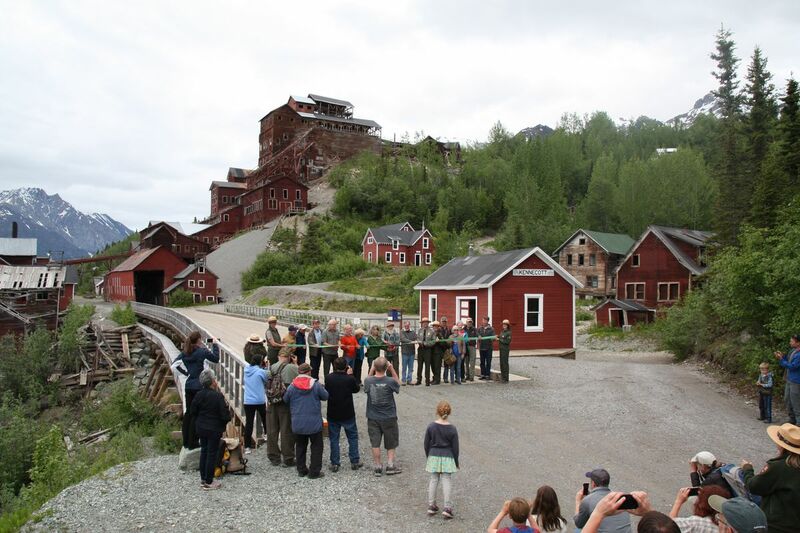 At an inaugural ceremony at Kennecott earlier this month, community leaders praised the park's "light touch" approach, and its effort to preserve a sense of discovery for visitors. "The park service did a good job from the very get-go of inviting the community to participate," said Mark Vail, president of the McCarthy Area Council, the local governmental non-profit group. Most importantly, local residents said, the mill town's contemplative sense of place has been preserved. Explanatory exhibits are tucked away in restored buildings. No park signs or brass plaques disturb the outdoor air of mysterious absence. Work continues, meanwhile, on the iconic red-and-white buildings, which date from the time of World War I: restoring a few, stabilizing foundations under others, and letting some slide into oblivion. The government has so far spent more than $20 million on restoration and exhibits, officials said. More work remains. Sally Gibert, who helped organize Friends of Kennicott 30 years ago to ease purchase of the 2,800-acre mining site, said locals had a long and complicated relationship with the iconic landmark: zealously guarding against tourists walking off with artifacts, while treating the buildings as their own "local Spenard Builders Supply." They adamantly opposed some early high-tech ideas from design consultants, such as a hologram of actors in mining-era dress, triggered by an electric eye at a building's entrance, or tour software condemning visitors to explore the spectacular scenic area with noses to their phones. The Friends group advocated initially for a concept they called "Arrested Decay" — preserving the ruins in a half-fallen, back-to-nature condition. But time has shown that arrested decay works no better in architecture than it does in dentistry (a fact that may have been obvious to the investors eager to sell to the park, two of whom were Anchorage dentists). "In hindsight, you have to restore things a little bit to keep it going," Gibert told the June 16 gathering. The biggest preservation challenge has been the 14-story gravity concentration mill, the pounding heart of Kennecott in mining days. Contractors have buttressed the foundation with massive beams and long steel pegs to keep the complex from sliding down to the Kennicott Glacier. 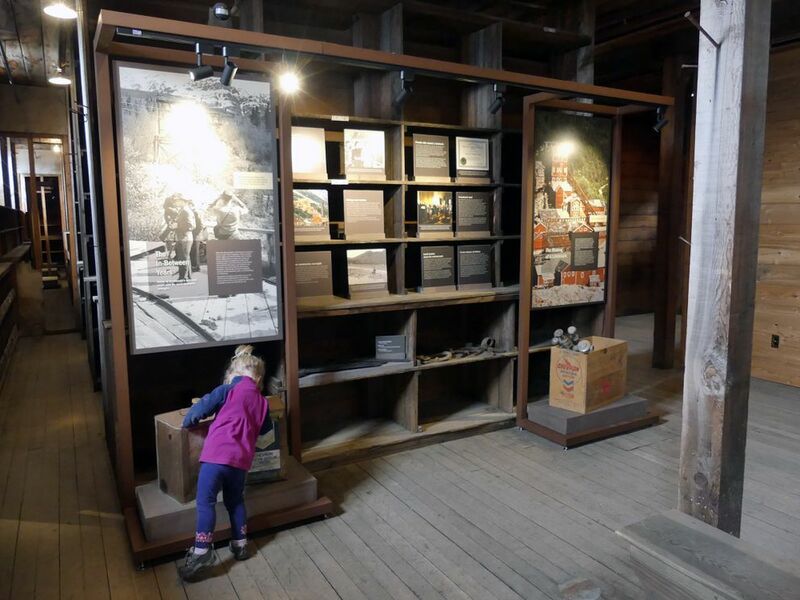 The new exhibits spell out the history of building and running the remote mines from 1911 to 1938. Ore from the mines was worth $200 million (equivalent to $3.5 billion today, according to park estimates). At least half of that was Wall Street profit. The mining company was named after the local glacier, but misspelled the name. "The fact that a town and mining operation that large could be established and operated in such a remote wilderness utilizing turn-of-the-century technology is no less than amazing," wrote a regional park planner in 1981, shortly after the new park was established by Congress. Kennecott's operation required construction of a 196-mile railroad through mountain canyons to Cordova. Trains carried a high grade ore unlike anything ever found, some of it more than 70 percent pure copper. The underground mine produced relatively little tailings waste. The mining company left behind a hole in Bonanza Peak, several ghost towns, and an anti-monopoly streak in Alaska's territorial politics. In addition to describing the technology and politics of the day, the new exhibits provide extensive accounts of the area's social history. The role of women and immigrants and segregated minorities and displaced Natives, working conditions underground, and individual life stories are all explored. Local anxieties about an over-built Disneyland were perhaps unwarranted, given the high costs of restoring and maintaining the many structures. Indeed, fears of a creating a financial "black hole" made some federal officials reluctant to acquire the deteriorating ruins at the center of the new national park. But at a time when purchase of private land for conservation was still controversial in Alaska, the 1998 purchase was backed by an unusual range of supporters, from tourism groups to the Alaska Miners Association, Gibert said. The mill building and other major facilities were donated to the government, which paid $3 million for the subdivided remainder. The Kennecott Minerals Company cleaned up toxics and donated the subsurface. Mining-era cottages previously purchased remained in private hands. Funding for restoration and exhibits has come from congressional grants and general park service receipts. The park sees only 60,000 to 90,000 visitors a year, most of whom get no farther than park headquarters at Copper Center, along the Richardson Highway. 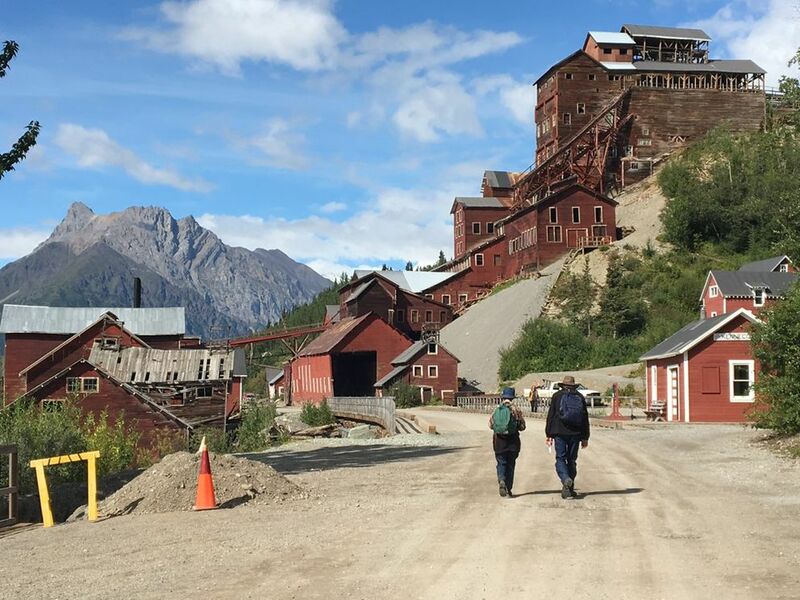 About one-third of those visitors fly or drive the long gravel road to McCarthy and Kennecott, said Margie Steigerwald, the park's interpretive specialist. The June ceremony marked a 40-year evolution of park-local relations in several ways. Steigerwald, recently returned to the Wrangells park after a long absence, recalled that during her first stint it was considered needlessly provocative to wear her park uniform on a trip to McCarthy. A handful of park officials attended this June's event in full regalia. And artifacts from the Kennecott days, which once poured out of the ruins, especially in the trucks of an unscrupulous interim owner, are now trickling back for use in the exhibits. Kenny Smith, the son of legendary aviator Merle "Mudhole" Smith, recalled his first visit to Kennecott in the early 1950s. The general store was still fully stocked, a bin of hockey sticks with prices still on them by the door. He told the June gathering he helped himself to a stick, along with a few other items through the years. Then he handed park officials two brass fittings that, years ago, he'd unscrewed from generators in the power plant. He said, with a smile, "I've been laying awake worrying about this ever since."